Right on cue, the rain is supposed to clear out at about 1:00 PM, which will allow a couple of hours of tailgating. 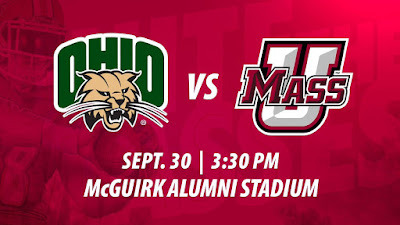 Hopefully, the skies will clear for UMass football too and the Minutemen will get an upset of the Bobcats. Ohio is a solid club, but they're not an offensive juggernaut. The UMass defense needs to play like they've played the last two games and fly to the ball. Don't make mistakes that gives a poor offensive team an easy score. The offense will have to not waste any scoring opportunities. Keep playing and we will be rewarded with a win. I'll be there, cheering for the Minutemen. Go UMass!!! Matty Vautour says the Minutemen are back in the MAC. Mark Chiarelli of MassLive reports UMass hopes Andrew Ford and Adam Breneman are ready to play against Ohio. 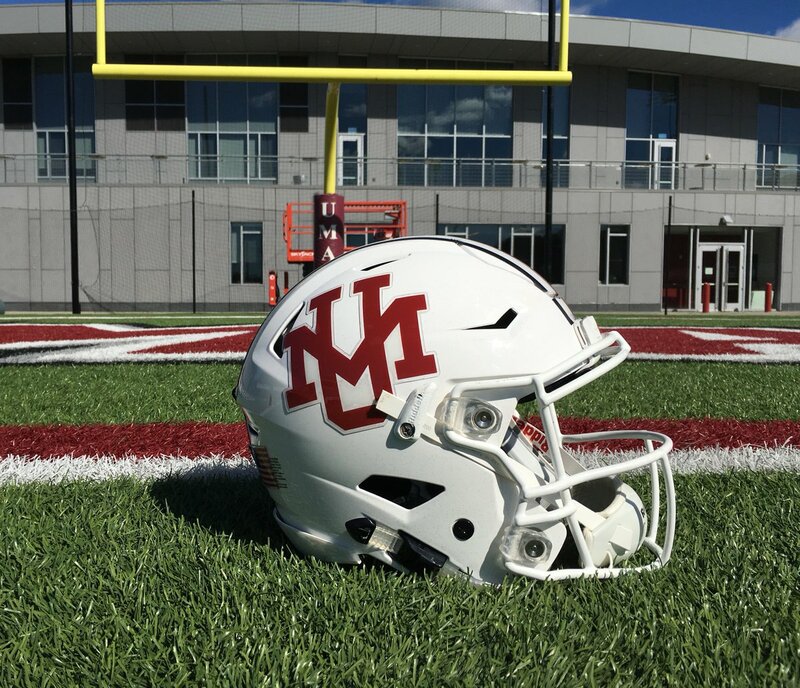 Hero Sports reports UMass will wear throwback helmets. 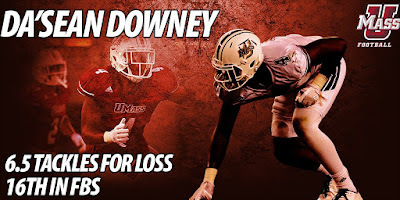 The UMass Daily Collegian says the UMass defense has turned the corner behind the play of Da'Sean Downey. The Bobcats return six starters on offense and five on defense from a 2016 team that finished 8-6. They lost by one point to Troy (a team that smoked UMass) in the Dollar General Bowl. Most pundits have them contending for the MAC championship. So far Ohio is 3-1 with wins over Hampton, Kansas (second year in a row) and Eastern Michigan (in two OT's). They lost to Purdue 21-42. On offense they have A.J. Ouellette. He missed all of 2016 with an injury. Ouellette led the Bobcats in rushing in 2014 and 2015. Ouellette has been MAC offensive player-of-the-week twice in four games. He's gone 58-343 85.8 yards/game 5.9 yards/carry and 2 TD's. Slowing down Ouellette will be the first priority for the UMass defense. Nathan Rourke has been the primary QB. He's had 52-80-632 65% 158 YARDS/G and 5 TD's. He's thrown zero INT's. The Bobcats have been doing it with defense. Ohio has held four opponents (two of them Power Five schools) to 463 rushing yards and 3.9 yards/carry. The Bobcats have allowed 23.5 points a game and have been scoring 37.3. SR LB Quentin Poling has 12 UT 16 AT 26 TT 3.5 TFL. Ohio is a solid team that does not make mistakes. They have a bowling-ball RB and a QB with a 65% completion rate. The Bobcats control the clock and have no INT's. UMass will have their hands full on Saturday. 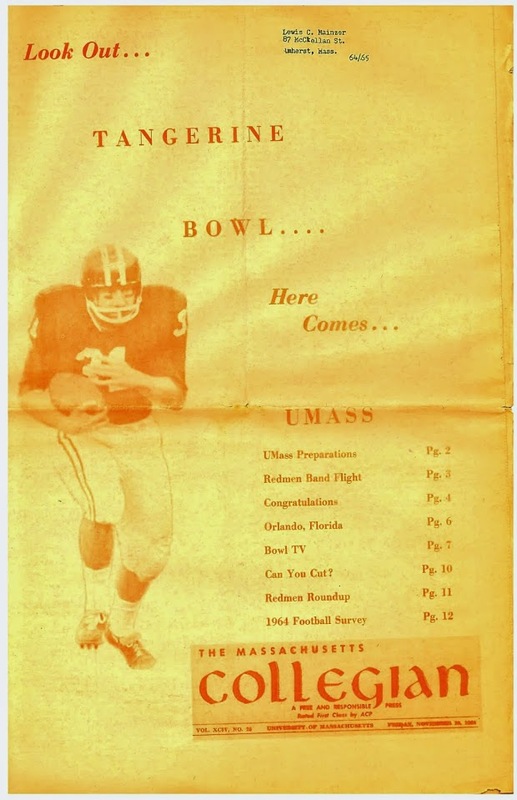 UMass will honor the 1972 Bowl team with the retro helmet decals. I really like the design and it's the one I use for my avatar. Matty Vautour says the UMass defense has come together the last two games. Mike Traini of "Fight Massachusetts" has a preview of the game. 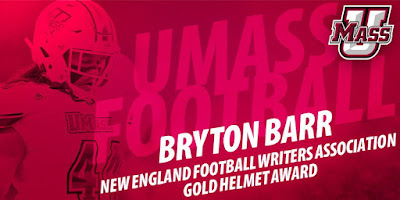 Congrats to Bryton Barr for his Gold Helmet award for his play at Tennessee. The Post says Ohio closes its non-conference with winless UMass. The Athens Post also says the Bobcats need to keep an eye on Adam Breneman. Ohio safety Javon Hagan likes to steal opponent's towels. The Bobcats CB Bradd Ellis has gone from walk-on to starter. All for Tennessee says the UMass scare was meaningless. SB Nation says Tennessee's win over UMass might the most frustrating victory yet. Ralph Frias, a 6-7 305 pound OL from Safford, AZ has Tweeted he's received an offer from UMass. This article from December 2016 features Frias. Named to the 2017 preseason All-Arizona team. Frias has six offers with UMass and Dartmouth from the Northeast. UMass has their game notes for Ohio up. Keepers College football rankings has Ohio by 11.36 over the Minutemen. BTW, if the Minutemen are going to win Saturday, they need another strong defensive effort to control A.J. Ouellette. He's just been named the MAC offensive player-of-the-week two weeks in a row. Matty Vautour reports Adam Breneman, Andrew Ford, Jack Driscoll and Lee Moses all practiced yesterday and should be ready to play Saturday. 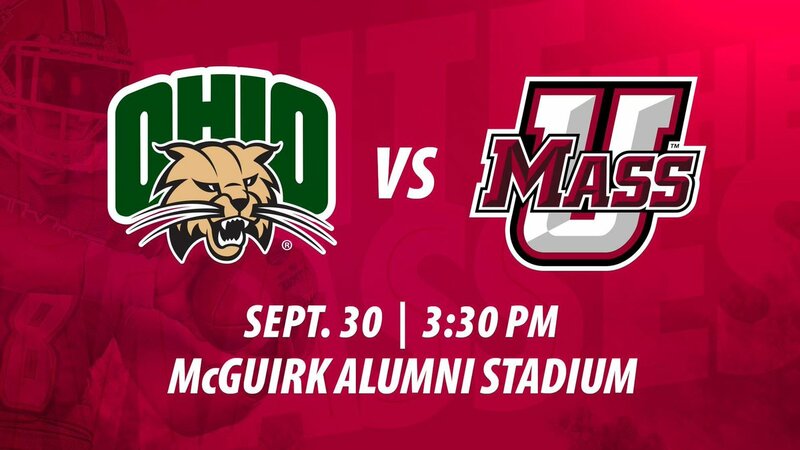 The Daily Collegian says UMass faces Ohio before an extended bye week. The Athens Post looks at the Minutemen's front seven. The Post also has UMass winless despite playing teams close. Appalachian State is 29-7 over their last 36 games. Back in April of 2017 I blogged about Jorien Vallien, a 6-4 178 pound WR from Alexandria, LA . So far this season Vallien has 21 catches for 395 yards and 7 TD's for Ash HS. When you're 0-5 all you've got are individual performances, but the UMass defense is racking up some impressive numbers. 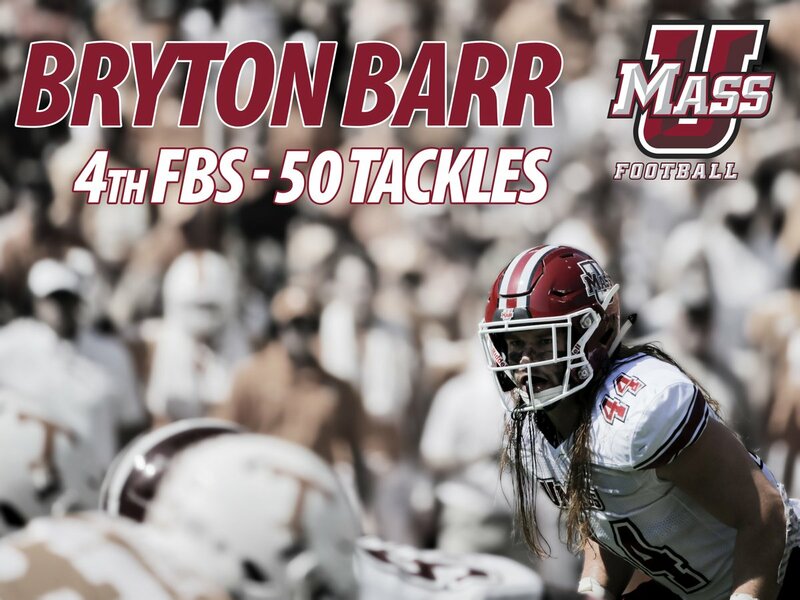 Bryton Barr, the Towson LB transfer has gone 5-5 GP-GS 24 UT-26 AT 50 TT 3.0-14 TFL 1.0-8 SACKS 1 BKUP. That is excellent production from Downey and Ali-Musa as defensive linemen. Jake Byczko also has done well as a true freshman. He has 5-0 GP-GS 6 UT 11 AT 17 TT 2.0-6 TFL 2 BKUP. Matty Vautour reports Coach Whipple has confidence in Ross Comis if Andrew Ford is unable to play against Ohio. He also reports Logan Laurent is healthy and will handle punting and field goals. And ESPN writer has UMass second from the bottom in FBS rankings. Coaches are feeling the impact of the NCAA's new focus on unsportsmanlike like behavior from the sidelines. Tennesse QB Quinton Dormady understood the reason that he was pulled for three series against UMass. Georgia Southern's fans flood the president's office with calls and e-mails to fire the football coach and A.D.
UConn lost to Eastern Carolina on a late field goal. A current AAC power poll has the Huskies last. Matty Vautour reports on UMass players take on the NFL protests and other football news. Whipple didn't rule out any of the four Minutemen starters Andrew Ford, Adam Breneman, Jack Driscoll and Lee Moses out of the Ohio game. Mike Traini of "Fight Massachusetts" recaps the UMass-Tennessee game. Tennessee coach Butch Jones criticizes the negative media coverage of his team. The Vols defensive line takes confidence in seven sacks against the Minutemen. Rocky Top Insiders has some film study of Tennessee struggling against UMass. Deadspin says Temple's two-year run is starting to look like a flash in the pan. WOUB previews Ohio's 2017 season and says "with a couple of defensive stops, victory is in the cards" for the UMass game. On September 15th, the Bobcats beat Big-12 opponent Kansas for the second year in a row. Georgia Southern is 0-for-the-2017 season. They get 2-2 New Mexico State and 0-5 UMass for their next two games. Somebody has the win the October 21st meeting between the Minutemen and the Eagles. No Vegas line yet on Ohio-UMass. Because of Ford's status? Matty Vautour reports UMass came out of the Tennessee game wondering what if. The Daily Collegian says UMass came close to the upset. The Williston Herald says the lack of execution almost cost the Vols. SEC Country drops Tennessee to #10 and Mississippi State to #5 in their SEC Power Poll. Tennessee had 16 true freshmen get on the field for the UMass game. Six of the sixteen were a Top-25 in the nation recruit at their position. Trevor Daniel, the Vols punter, averaged 49 yards/punt and dropped four inside the 20 against the Minutemen. BTW, social media is claiming Tennessee actually missed that 40 yard field goal against the Minutemen. The Vol navy rose early for the Minutemen game. Ohio is 3-1 in 2017 and have been doing it mostly with defense. The Athens Post has three things to know about the Bobcat's win over Eastern Michigan. Well, another SEC foe, another close game for the Minutemen. Despite all the doom and gloom and predictions of a blowout, UMass went toe-to-toe with the vaunted Volunteers and were exactly four points worse. I think we would have beat 'em if Ford had not been hurt. 1. Ed Pinkham for HC? The UMass defense had 12 TFL against an SEC team known for their running attack. That's 23 TFL for the defense in the last two games. The Minutemen held Tennessee to 135 total yards rushing and Vols star RB Kelley to 101. And 27 of those yards came on one run. The Tennessee passing game was generally ineffective totaling 187 yards and again 66 of those came on one play. Four-star QB Jarrett Guarantano was in for a couple of series and the Minutemen held him to 2-5 -3 yards. The defense did everything we could ask. 2. The offense did not play bad. The offensive line struggled with the pass rush, but the run blocking improved. UMass actually out rushed the Vols 142 to 135 net yards. Even better, Marquis Young averaged 5.4 yards/carry and Bilal Ally averaged 4.9. On the negative side Ross Comis continued to struggle to move the offense. There were some mistakes, but again this was against an SEC team on their home field. 3. If there are 130 teams in FBS, we are #131 in special teams. We kicked the opening kickoff out of bounds. Mike Schreiner missed an extra point. Our senior kicker had a 26 yard punt and in the fourth quarter with six minutes to play, punted into the end zone from the Tennessee 44 yard line. An inside the ten punt would have really upped the pressure on the Vols offense. We just get zero positive plays from the kicking game. MassLive says UMass fell in a close contest. Matty Vautour says UMass couldn't complete the comeback. Matty report the Minutemen came out of the game with some injury concerns. Mostly sour grapes from the Tennessee side. SEC country has grades for the Vols. The Times-Free press says Tennessee managed to hold off UMass. The same newspaper says Elliot Berry knocking Andrew Ford out of the game was key play of the contest. Vols RB John Kelley said the UMass defense was "a little tougher than expected". The News-Sentinel said bright spots were hard to find for the Vols. Hawaii lost to Wyoming in overtime. Coastal Carolina was crushed by FCS Western Illinois. I still can't believe we lost to those guys. Old Dominion was crushed by Virginia Tech 0-38. Ohio won in double overtime against Eastern Michigan. USF had routed Temple 43-7 on Friday. Georgia Southern was run over by Indiana 17-52. Appalachian State lost to Wake Forest by 1. Mississippi State was dominated by a strong Georgia defense 3-31. Maine lost to #1 ranked James Madison 10-28. FIU beat Rice in a defensive struggle. 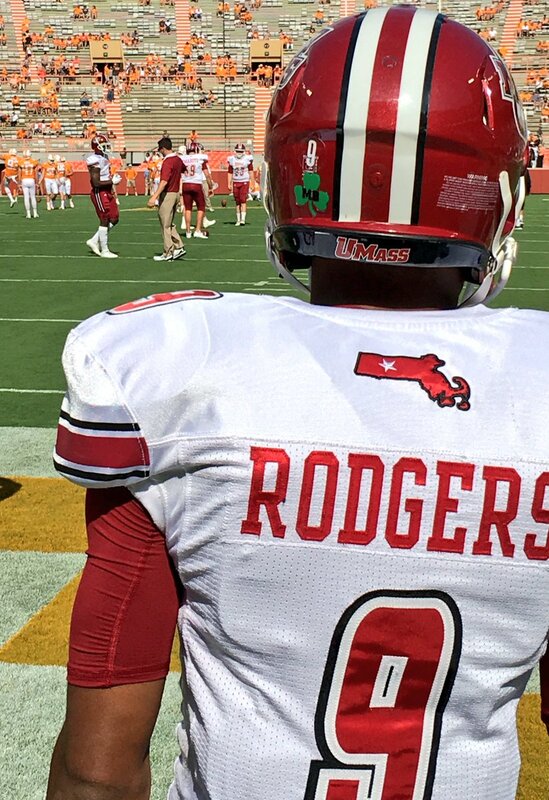 Well UMass will be a big underdog in Knoxville today. These games pay the bills; the allow us to have team we all obsess over. Still, UMass can work on getting better. I think we'll score some points on the Vols. Let's run better, run better routes, block better. If we can make plays against Tennessee with its roster of four and five star recruits, then we can do the same against Group-of-Five teams. Let's play like we belong. Go UMass! UMass changes it's away uniform for the Tennessee game. The UMass-Tennessee game is listed for DISH channel 408 (SEC Network) here in New Hampshire. Matty Vautour reports UMass' young receivers are eager to fill the hole if Adam Breneman can't play today. The Knoxville News looks at who has the edge in each position in today's UMass-Tennessee game. 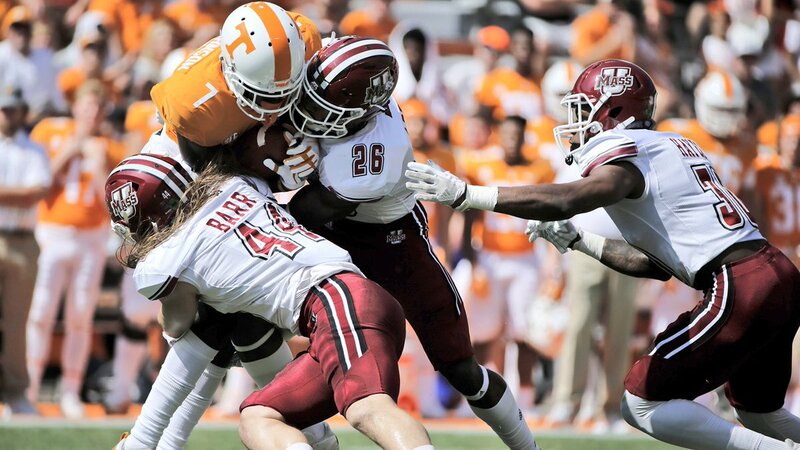 The Times-Free Press says UMass should be a good recovery for the Vols. They also report Tennessee hope to work out corrections against the Minutemen. Go Vols 247 has bold predictions for Vols-Minutemen game. They also pick the score for today's game. The Rocky Top insider studies UMass' game film. The Vols return five starters on offense and six on defense from a team that finished 9-4 (4-4 in the SEC) in 2016. Their season concluded with a win over Nebraska in the Music City Bowl. The only statistical number to jump out is they finished #104 in rushing defense. Probably the most interesting fact about Tennessee is their mind-boggling recruiting. The Vols 2018 recruiting class is currently ranked 6th nationally and #1 in the SEC. Tennessee's back-up QB Jarrett Guarantano is a four-star recruit from New Jersey. The vols have tons of talent in every position on their roster. All that talent has caused some unrest in Knoxville because the last time the Vols won the National Championship was 1998, the same year UMass won the FCS Championship. So far this year the Vols edged by Georgia Tech, blew out Indiana State 42-7 and lost a close game to Florida. RB John Kelly leads the Vols rushing 53-352 6.2 AVE 5 TD's. Quinton Dormady is Tennessee's #! QB. He's gone 54-94 674 5 TD's 4 INT's 126.72 EFF. UMass has been unable to run the ball against much lesser teams this year. Indiana State did manage 128 yards against the Vols defense. The Minutemen defense has been scrappy the last two games. They need to keep that up. Keep playing and work on improving. The UMass offense will have to pass the ball, since we can't run. I think UMass will score some points. If we turn the ball over, this could be a blowout. The Minutemen are 5-0 ATS against SEC teams over the last five games. 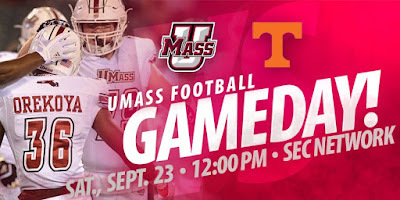 Mark Chiarelli of MassLive reports UMass is prepping for Tennessee. Matty Vautour has a podcast and a story about UMass' trip to Knoxville. Mike Traini of "Fight Massachusetts" previews the Minutemen-Volunteers game. Clarksville Online says Tennessee host UMass Saturday. The Berkshire Eagle reports UMass is searching for a win. Tennessee HC Butch Jones says UMass is better than their record. The Knoxville News reports UMass' passing game is a threat. The Vols defense has been hit with some significant injuries. I watched Temple play UMass' once-and-future opponent USF last night. The Owls lost 7-42. Temple managed just 85 yards of offense and totaled -4 yards rushing. Tennessee has their game notes for UMass up. The UMass Daily Collegian has UMass travels to Tennessee for their first Power Five opponent of 2017. All For Tennessee has five Minutemen to watch out for. The Tennessean says the Vols have too many star recruits who are not reaching their potential. SEC Country has what Tennessee learned about itself in a tough loss to Florida. Jarrett Guarantano is the Vols backup QB; Tennessee's HC expects him to get some playing time against UMass. UConn's Randy Edsall preaches patience. UMass is not the biggest underdog in New England this week. Boston College is a 34.5 point dog to Clemson. BC, UConn and UMass are a combined 2-7 so far in 2017. That includes UConn's win over FCS Holy Cross. UMass has their game notes for Tennessee up. Matty Vautour says UMass QB Andrew Ford keeps getting up. An offensive line with a couple of All-Independent players. Side note. Another UMass fan and I were talking before the Old Dominion game about the offensive line. We were in the MAC for four years. Anyone remember if we ever had a first or second team All-MAC offensive lineman? Speaking of kicking, the National Junior College Athletic Association has a list of the top JUCO kickers. There's also a lot of kicking talent in the California Community College leagues. Ryan Ames of the UMass Daily Collegian reports Sadiq Palmer and Jesse Britt are starting to emerge as playmakers for the Minutemen. All for Tennesse has five Vols to watch vs UMass. The Knoxville News-Sentinel says Tennessee has resolve and resilience. The Daily Times reports big plays are an area of concern for the Vols. Tennessee RB John Kelly does not like being tackled. 247Sports says the Vols offensive line likes to block for the relentless Kelly. WSB-TV looks at Georgia's 2018 schedule which includes UMass. Matty Vautour reports college football at Fenway Park could become a regular thing. Keepers College Football ratings has Tennessee by 24.78 over UMass. Keep in mind the Minutemen have gone 5-0 ATS for SEC teams. Chowder and Champions thinks UMass won't win a game this season. I don't know about that, but it looks like we could go without a field goal this season. BTW, Massachusetts has a nationally ranked kicker playing at Groton High. The Columbus Daily Herald says the Vols seek to keep their heads up after a close loss to Florida. The Chattanogata Free Press reports Tennessee HC Butch Jones needs a big win in a hurry. The Vols are trying to move past the Florida defeat. Tennessee lost their 2016 leading tackler in the Florida game for the rest of the season. 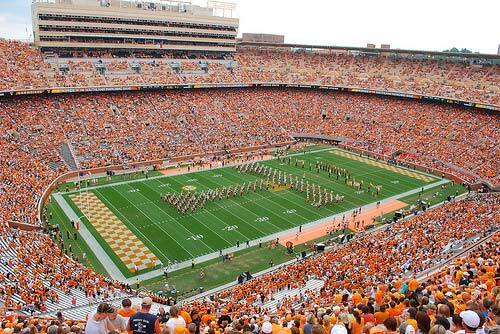 The Knoxville News Sentinel has video and audio options for the Vols-Minutemen game. UMass opens as a 26.5 underdog to the Volunteers. Temple News has more on Owls DT Quincy Roche's huge day against the Minutemen. Go Vols notes Tennessee opens as a nearly four-touchdown favorite over UMass. Sports Chat Place previews the Minutemen-Volunteers game. The Knoxville News says Tennessee has plenty to correct after the loss to Florida. Tennessee dropped out of both the Coaches and AP Top-25 poll after their loss to the Gators. If you missed it Notre Dame rushed for 515 yards against Boston College Saturday. Irish QB Brandon Wimbush's 10.1 yards/carry broke a Notre Dame record that had stood since 1942. Virginia QB Kurt Benkert threw for a record 455 yards in dismantling UConn. 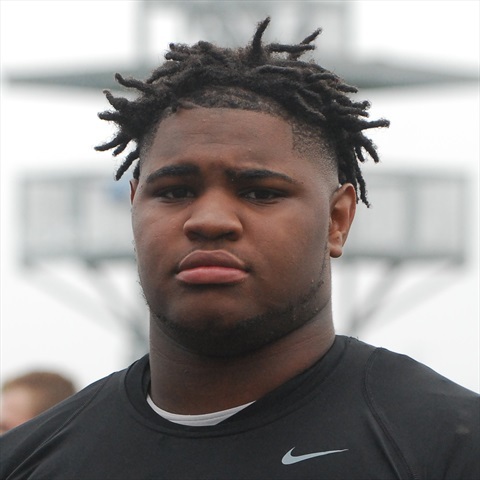 Billy Ferrell, a 6-3 330 pound DT from Fordyce, AK has Tweeted he's received an offer from UMass. Besides UMass, Ferrell has FBS offers from Memphis, Arkansas State and Colorado state. 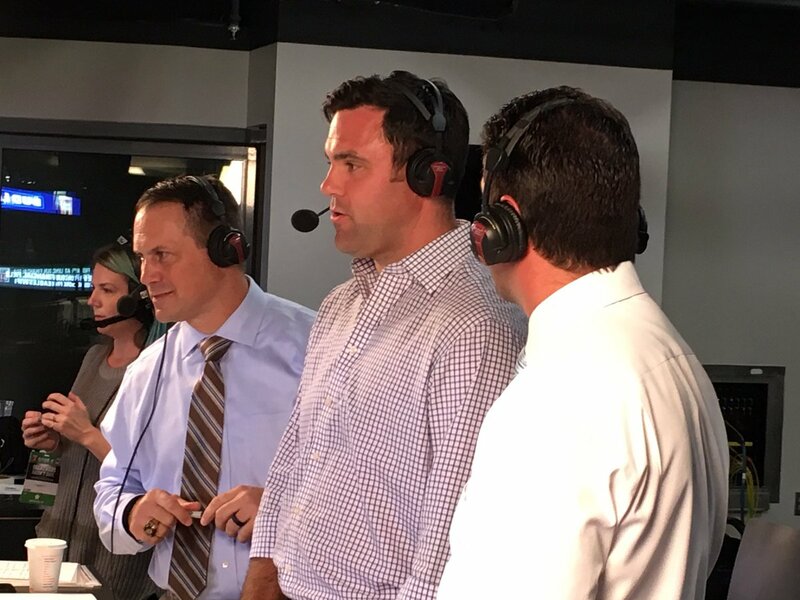 I don't know if you caught A.D. Ryan Bamford's interview at halftime of the Temple game or not. He had a couple of interesting statements. Bamford said UMass was working on a indoor practice facility. He said the time frame was "a couple of years". Bamford stated that UMass was solvent as an Independent and scheduling was was complete for 2018 and almost complete for 2019. The Minutemen have games set as far out as 2023. The interview was conducted just after we had given up 14 points in about two and a half minutes at the end of the first half. Referring to success and possible conference affiliation he said UMass needed to win games and "we haven't learned how to do that yet". Mike Traini of "Fight Massachusetts" recaps the Minutemen's loss to Temple. He also attempts to figure out how many points UMass has lost because of the kicking game over the last four years. Coastal Carolina lost to UAB. Most football preview magazines had startup UAB last in Conference USA. Old Dominion was crushed 23-53 by North Carolina at home. Tennessee lost to Florida on a wild Hail Mary pass. Ohio dominated Big 12 Kansas 43-20. Georgia Southern had a bye. Appalachian State squeezed by Texas State 20-13. Mississippi State routed LSU 37-7 to become the #2 team in the SEC behind only Alabama. Wisconsin rolled into Provo Saturday and crushed BYU 40-6. Well mistakes and abysmal kicking doomed a tenacious UMass effort at Temple. The Minutemen missed three field goals at the Owls 22, 6 and 14 yard lines. We left 9 points on field in an 8 point loss. Ford fumbled deep in UMass territory to give Temple a short field at the end of the first half. We also dropped two possible TD passes (Isabella and Herring). On the positive side, the Minutemen defense continued their upward momentum. The UMass defense repeatedly stuffed the Temple offense. The Minutemen defenders had 11 TFL (!) and two sacks. Temple RB Ryquell Armstead had a 56 yard run on the third play of the game. The other 33 Temple rushes gained 63 yards (1.9 yards/carry). For the second consecutive game the UMass defense played well enough to win. The UMass offense gained 458 yards and Ford managed to spread the UMass receiving around. Sadiq Palmer (7-117 and Jesse Britt (3-57) gave the Minutemen other options than just Breneman and Isabella. Even the UMass offensive line started playing better in the second half using a moving pocket. As far as the kicking goes---someday my head is going to explode. MassLive says Ford's impressive effort went for naught. Matty Vautour reports the Minutemen fell short. Matty also says UMass continues to struggle with field goals. Philly.com says Temple WB Logan Marchi was efficient. Owls DE Quincy Roche had a big game. The Boston Herald says mistake-prone UMass fell to Temple. Comcast Sports Philadelphia reports Temple sneaks past UMass on Quincy Roche's monster game. Temple is coming off two seasons that included a record of 20-8, the best in Owl history. Temple lost the last game of the 2016 season, a 26-34 loss to Wake Forest in the Military Bowl. They also lost their HC Matt Rhule. The Owls return four starters on offense and four on defense. Temple was great on defense in 2016 finishing 3rd in total defense in the nation. They were 11th nationally in scoring defense and were 1st or 2nd in the AAC in all defensive categories. The offense was more average. They were 66th in total offense. The Owls have a new QB in Logan Marchi (39-69-519 2 TD's 129.7 EFF). Their best offensive threat is WR Ventral Bryant. Temple gave up 606 yards of offense against Notre Dame and lost 16-49. The Owls struggled against Villanova, which may have FCS' best defense. It took a FG with a minute left to break a tie against the Wildcats. Bryant had seven catches for 79 yards against Villanova. Temple is 4-1 all time in Friday night games. So far, the UMass defense has played one-and-a-half good games. The Minutemen defense looked good against Old Dominion and they played the run well against Hawaii. Temple does not seem to be an offensive powerhouse. 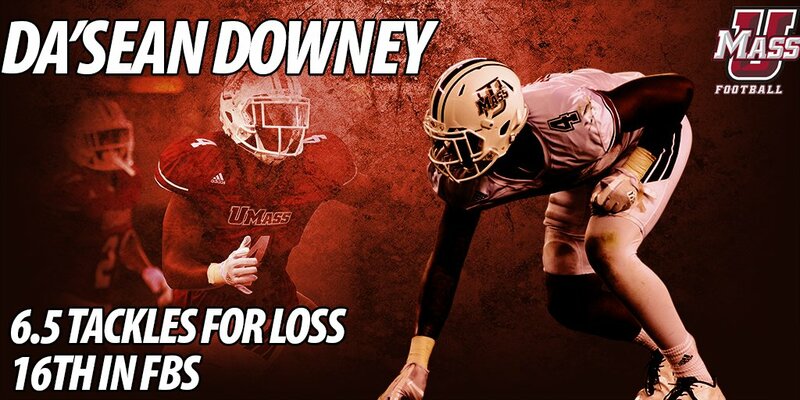 The UMass defense needs to not allow those broken coverages that doomed them against Hawaii. The UMass offense will need to generate some points against what will probably be a stout Temple defense. So far, Ross Comis has not added any offensive capability to the 2017 season. Perhaps because of limited opportunity or just rust from his off season. The Minutemen could really use another weapon other than Andy Isabella and Adam Breneman. An upset would go a long way to removing the sour taste generated so far in the Minutemen's 2017 season. I'll be watching. Go UMass! The game will be televised nationally on ESPNU. 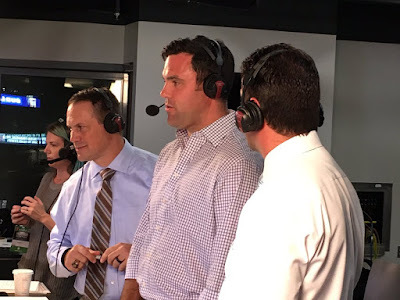 Mike Traini of "Fight Massachusetts" previews the Temple game. Kevin Dillon of MassLive reports the Minutemen are seeking their first win of the season. Matty Vautour says UMass is treating the Temple game as an opportunity. Philly.com remembers Temple's wild last win over UMass. Geoff Collins faced the UMass offense as Florida's defensive coordinator in 2016 and calls the Minutemen offense an "absolute pain". 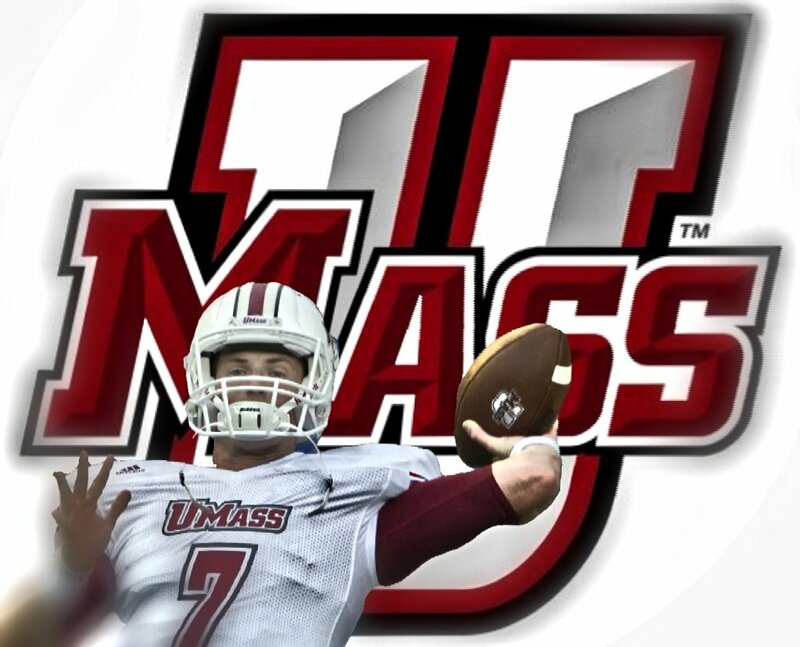 The Boston Herald says UMass QB Andrew Ford returns home in a search for win. The Hartford Courant has a post on the scheduling changes and UMass AD Ryan Bamford gets a lot of coverage. Can you imagine any previous UMass AD being that fast on his feet? I can't. 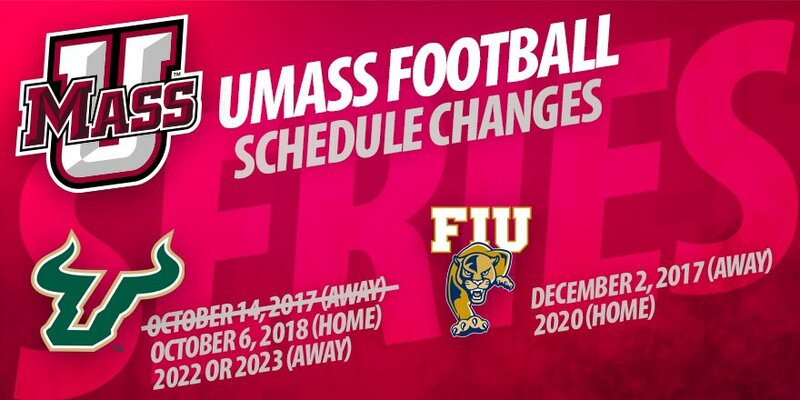 MAJOR UPDATE: UMass has announced a major change to the 2017 schedule because of Hurricane Irma. 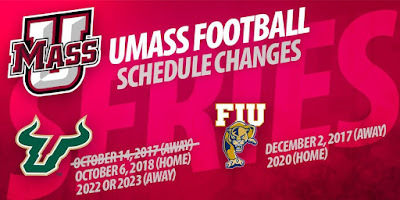 The UMass at USF game previously scheduled for October 14th, 2017 has been postponed until 2022 or 2023. The Minutemen will play at FIU on Saturday, Dec 2nd, 2017. That will be the 12th game for both teams. This will create two addition bye weeks for the Minutemen. UMass will have two weeks to prepare for Georgia Southern's triple-option offense and the Minutemen will also get a bye week before BYU. This seems to be a good deal for the Minutemen. USF could be the top Group-of-Five team in the nation. It was almost certain to be an ugly loss. FIU will be highly motivated after two losses in a row to UMass, but we should be competitive. The AAC reworks its schedule in the wake of Hurricane Irma. NBC Sports has a post on the AAC changes and mentions UMass. Matty Vautour has the inspiring story of UMass offensive lineman Ray Thomas-Ishman. It's a real credit to Ray, after all he's been through, to be interested in academics and have his head on straight. "Success comes to the lowly and to the poorly talented, but the special characteristic of a great person is to triumph over the disasters and panics of life"
Matty also has some out-takes from his story on Thomas-Ishman. Philly.com has three things to watch for in Friday's UMass-Temple game. Athlon Sports has an Owls-Minutemen preview and prediction. UnderDog Dynasty also has a UMass-Temple preview and prediction. Temple remains 8th in the AAC conference's power rankings. The Spread.com says take the under in the UMass-Temple game. HERO Sports picks Coastal Carolina to go 2-0 against UAB. Georgia closes the 2018 season with three straight home games: Auburn, UMass and Georgia Tech. UMass has their game notes for Temple up. Rene Ingoglia will be doing the game for ESPNU. Matty Vautour report UMass' Pennsylvanians are looking forward to playing at Lincoln Field. In the article Matty report UMass senior DL Sha-Ki Holines may play Friday against Temple. Holines started nine games in 2016 and was a Phil Steele First Team All-Independent team member. His return should help the defensive line. One bright spot in the loss to Old Dominion was the defensive line play. True freshman Jake Byczko 6-3 250 had 2 UT 8 AT 10 TT and 1 TFL. Ryan Ames of the UMass Daily Collegian says the Minutemen face a crucial fourth game against Temple Friday. Keeper's College Football Ranking has UMass a 12.97 point underdog to the Owls. BC and UConn are also double-digit dogs. CBS Philly reports Temple is getting ready for Friday Night Lights. Temple QB Logan Marchi is feeling more mobile. Temple has moved to a 14.5 point favorite in Las Vegas odds. Philip Sanzo of the UMass Daily Collegian says the Minutemen CAN beat Temple. Get More Sports previews the UMass-Temple game and says take the Under. Temple's Ventell Bryant came up big time against Villanova. Temple Update reports the Owls offense has been struggling. 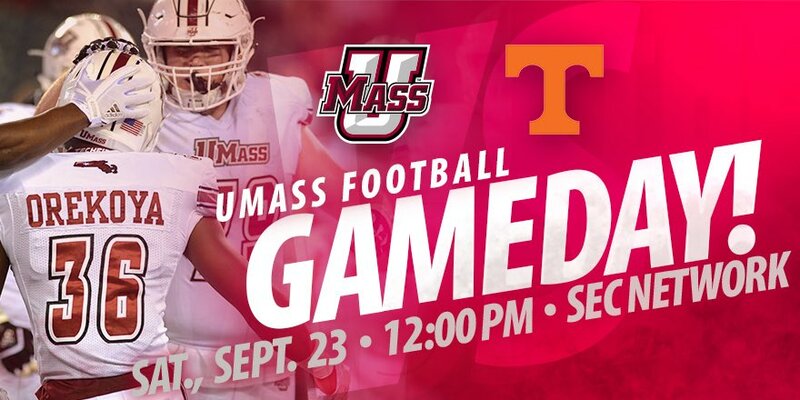 Tennessee and UMass will kickoff at Noon on September 23rd. The article notes in 1998 the Vols won the FBS National Championship and UMass won the FCS National Championship. Right now, Tennessee is focusing on the Gators. Rocky Top Talk grades out the Vols win over FCS Indiana State (who went 4-7 in FCS in 2016). Tennessee held the Sycamores to 0-13 in third down conversions. The Florida campus and athletic facilities seemed to have suffered minimal damage due to hurricane Irma. The Salt Lake Tribune wonders if BYU's season is already ruined. In something you won't see often, Mississippi State defensive lineman Jeffery Simmons scored TWO touchdowns against Louisiana Tech. Mike Traini of "Fight Massachusetts" reviews the UMass-Old Dominion game. Vegas has Temple by 12 over the Minutemen. The Sports Chat Place previews the Temple-UMass game and looks for the Owls to cover the spread. Philly.com says Temple is still searching for an identity. Metro.us wonders if Temple should be worried after struggling with Villanova. 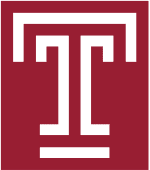 Temple News reports RSSO QB Logan Marchi led the Owls on a two-minute drill that produced the winning score against Villanova. Tennesse won over FCS Indiana State, but dropped two slots in the Coaches Poll. Next the Vols travel to the Swamp to meet Florida. The Coaches poll has USF #21 and Tennessee at #23. Mississippi State received 37 votes and Appalachian State received 1 vote. Ohio struggled on both sides of the ball in a 21-42 loss to Purdue. HEY, FLORIDA IS NOT THE ONLY STATE SUFFERING. Exit sign clipped by truck in Dover. OK, that one didn't hurt as much. Maybe I'm growing scar tissue or maybe it was because the UMass defense made its best effort by far this year. The defense line, led by Ali Ali Musa (15 tackles !) 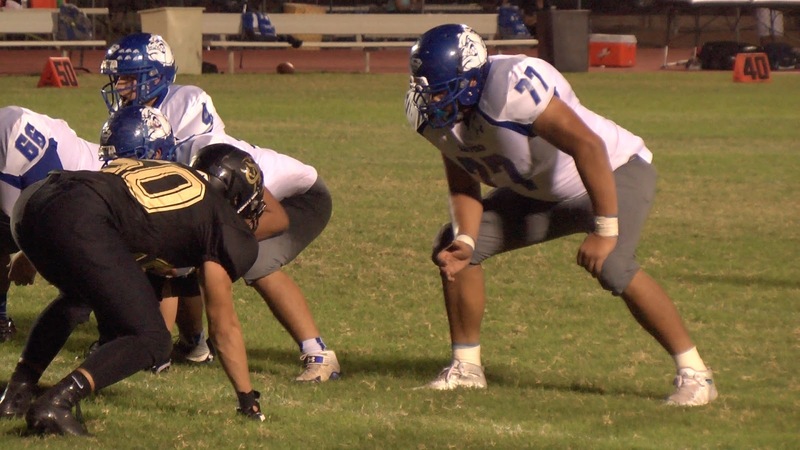 and Da'Shean Downey controlled the line of scrimmage for most of the game. The Minutemen defensive blitz bothered Old Dominion's QB. The UMass defensive backs were talking to each other and there were no blown 50-yard completions. In addition, the defense made a nifty goal-line stand to stop another Monarch score. The defense flew to the ball all game. This was we were hoping the defense would look like from the beginning, out-sized but scrappy. However, with Adam Breneman limited, the UMass offense had only one threat, Andy Isabella. We could not run the ball and both Comis and Ford were not effective. Part of that was, as I said in Thursday's write-up, because to the Old Dominion defense, which is pretty good. Hopefully, Breneman will be more recovered for Temple, because we surely need him. Old Dominion had a school record eight sacks. Connor Ryan of MassLive says the Minutemen offense sputtered. Connor also reports Adam Breneman was limited by a lower body injury and also talks about Ali Ali-Musa's monster day. Fifteen tackles by a defensive lineman is just huge. Matty Vautour reports Adam Breneman did not practice all week. Matty also says the UMass offense sputtered. UCLA blew out Hawaii 56-23. Coastal Carolina had a bye. Temple squeaked out a 16-13 win over Villanova on a last-minute field goal. FCS pundits feel Villanova has one of the best defenses in FCS. Tennessee beat FCS Indiana State 42-7. USF-UConn game was canceled and won't be made up. New Hampshire beat Georgia Southern using a big first half. Appalachian State routed FCS Savannah State 56-7. Mississippi State blew away Louisiana Tech 57-21. BYU lost to Utah for the seventh straight time. Boston College, in what may have been a battle for the ACC East cellar, lost to Wake Forest 34-10 at the Heights. Well, once more into the breach dear friends. In two games the Minutemen just have not made any plays. Against Hawaii we fumbled the ball and repeatedly let receivers loose in our backfield. Last week, Comis after coming off a lost year with an ACL injury, was having a good series and then did not protect the ball while running. Our freshman kicker had stated in an interview earlier in the week he was "comfortable from the 50 in" missed a 30-yarder. 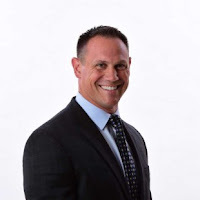 Our best WR Andy Isabella dropped what would have been a 50 yard completion. The missed field goal and Isabella's drop probably left 10 points on the table. As bad as we played, we would have been tied in the fourth quarter. Today, someone needs to make some positive plays. The defense needs to force some turnovers. The offense needs to finish drives. We need to move the inflection points toward UMass. Let's do it. I'll be there cheering for the Minutemen. Go UMass! Matty Vautour says the line of scrimmage could decide today's game. UnderDog Dynasty predicts a 38-21 Monarchs win. UnderDog Dynasty believes Old Dominion will cover the spread. The Virginia Pilot reports Old Dominion is deep enough so that there is competition to make the travel squad. UMass WR Andy Isabella is featured in this article by the Boston Herald. I watched Ohio lose to Purdue last night 44-21. The Boilermakers pulled off a nifty double-reverse flea flicker against the Bobcats. The Monarchs return 15 starters from a team that went 10-3 in 2016. Their season included a 24-20 win over Eastern Michigan in the Bahamas Bowl. ODU returns their all-time leading rusher Ray Lawry (3,338 career yards). In 2016 they averaged 430.8 yards/game and 35.1 points/game that was good for #50 and #31 in the nation respectively. Against Albany new QB Blake LaRussa went 14-20 161 yards and 1 TD. He did throw 2 INT's. On defense the Monarchs were solid in 2016. They were #2 in the C-USA in scoring defense (27.2 points/game). They have two of the top DE's in the Group of Five conferences: Bunmi Rotimi and Oshane Ximines. The two combined for 14.5 sacks in 2016. They had three sacks and 3.5 TFL against Albany last week. Old Dominion held UMass to 16 points last year in what was probably Andrew Ford's poorest game. He'll probably see a lot of pressure from the Monarchs defensive line again Saturday. UMass does have a chance to catch the Monarchs looking ahead as their next two opponents after the Minutemen are North Carolina and Virginia Tech. Old Dominion is just a solid Group-of-Five team. Defense is probably their strong point. The Monarchs held nine 2016 opponents to 28 points or less. They held Albany to 17 points and 275 yards of total offense last Saturday. The Monarchs had 9.0 TFL against the Great Danes. Connor Ryan of MassLive says UMass looks to rebound. Matty Vautour says Old Dominion expects an improved UMass team. Mike Traini of "Fight Massachusetts" previews the Monarchs-Minutemen game. SB Nation picks UMass to beat the point spread. The Enterprise-News predicts UMass over Old Dominion 28-24. Good news starved UMass fans got some encouraging news yesterday when UMass A.D. Ryan Bamford received a contract extension through 2022. Matty Vautour has a post on Bamford's contract. 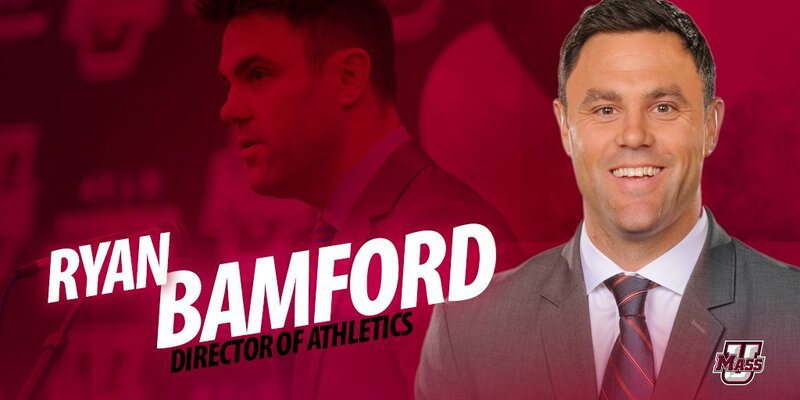 UMass' announcement of Bamford's extension. Mike Traini of "Fight Massachusetts" has a post on Bamford's extension. Conference USA turned down Liberty's bid to join the conference, but the Flames are looking to have the last laugh. UMass has the game notes for Old Dominion up. Matty Vautour reports Floridians on the UMass football team are keeping a close eye on hurricane Irma. Matty also has a post on UMass coaches comments on the proposed NCAA rule allowing players to play immediately after transferring. It would seem to me allowing unrestricted transferring would cause chaos in mid-major programs. It would be like the major league baseball's minor league system. The Power Five conferences could cherry pick players out of the lower divisions. I would be in favor of allowing players who graduate being allowed to play immediately and wherever they wished. Most students who transfer do not get all their credits from the original school accepted at the new school. A player who had a good year in a lower division and then jumps to Power Five school would probably lose some credits in the process. That can't help the graduation rate. The Virginai Pilot says UMass has chosen the lonely life of a FBS Independent. The UMass Gridiron Club thanks you for your continued support and investment in UMass football. As part of our appreciation to you, we invite you to join us for the BBQ pre-game tailgate festivities. 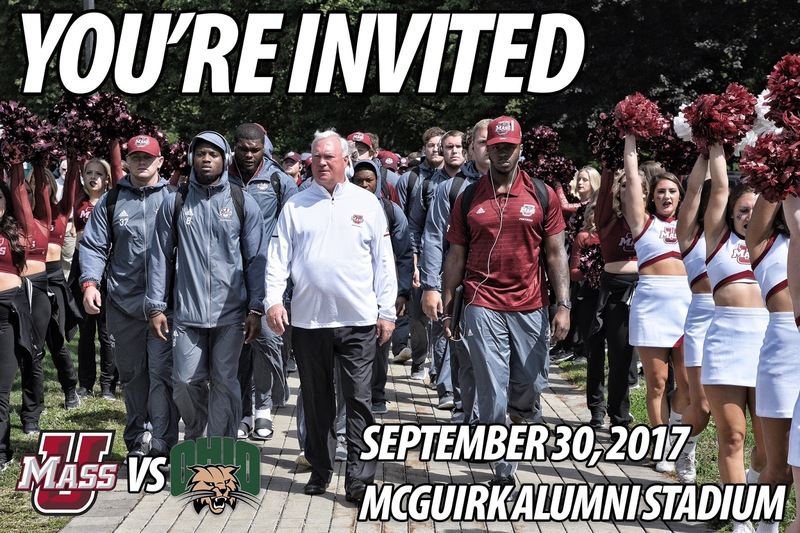 Bring your favorite football dish and join other UMass football families, friends, alumni and supporters for a wonderful time of eats, treats and fellowship. The UMass Gridiron Club pre-game BBQ tailgate is located at the entrance of Lot 11 with food available two hours before kickoff catered by football alum, Darryl Thomas, from Thomas' Smokey Pit Stop, LLC. It will be a finger-licking good time and you will not want to miss out. We look forward to seeing you Saturday. GO UMass!!! Old Dominion RB Ray Lawry is piling up the numbers. Philly.com has UMass opponents USF and Temple as #1 and #8 in AAC power rankings. UConn is #11. Matty Vautour has a post about a couple of good stories from the new 2017 college football season. Garry Brown of MassLive has a suggestion for the UMass defense. After two games, the Minutemen defense is #102 in scoring defense. The University of Albany ran the ball against Old Dominion last Saturday. Tennessee lost a starting WR in their overtime win against Georgia Tech. Auburn held Georgia Southern's triple-option offense to 78 total yards Saturday. Matty Vautour reports Adam Breneman's injury is not serious and he could play Saturday. If Breneman can't play or is limited Travis Reynolds 6-5 252 or Kyle Horn 6-5 250 would be the UMass TE's. I think Reynolds is a pretty good athlete with good hands. Horn is coming off a ACL tear. I think Taylor Edwards will be be a good player for UMass too. He was not in pads for the Hawaii game. Edwards was a three-star TE recruit. UMass and Ohio will swap $150,000 guarantees for their 2017-2018 home-and-home series. Howard Herman of the Berkshire Eagle says the Bay State teams: UMass and BC get attention when the win, not so much otherwise. Keepers College Football ranks has Old Dominion a 5.8 point favorite over the Minutemen. He also has BC and UConn as underdogs. Old Dominion's offensive line looks to play a lot better against UMass. Ray Lawry, the top running back for the Monarchs is expected to be 100% for the UMass game. The Daily Press profiles Bunmi Rotimi, Old Dominion's leading defensive lineman. Tennessee pulled off a thrilling overtime victory against Georgia Tech last evening. Matty Vautour says Saturday's loss to Coastal Carolina was the most disheartening yet. Bryton Barr was Hero's defensive player-of-the-week for his 13 tackles against Hawaii. Old Dominion opens as a 2 point favorite against UMass. (fixed point spread). The Virginia Pilot says Old Dominion was less than stellar against FCS Albany. Elijah Wilkinson made the Denver Broncos practice squad. 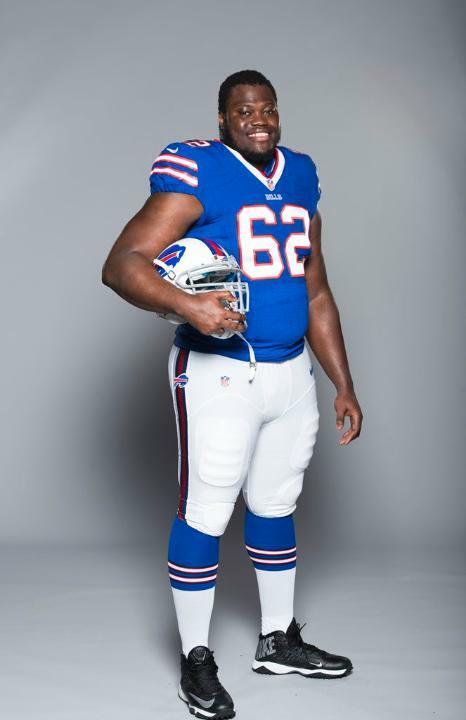 Vladimir Ducasse made the Buffalo Bills roster, his fifth team in eight years. If you missed it, Liberty stunned Baylor. Liberty students were so happy, the school canceled classes.